In a forest of clouds a hotel of warm hospitality. of mammals including 5 species of cats, over 400 species of birds including 30 kinds of hummingbirds, tens of thousands of insect species (over 5000 species of moths) and 2,500 species of plants (420 kinds of orchids). 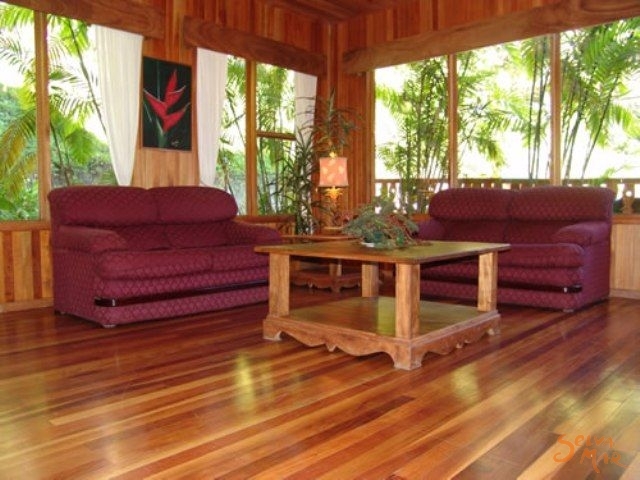 The area is acclaimed as one of the most outstanding wildlife refuges in the New World Tropics. rather than a rain forest because of it's altitude: the clouds go thru the forest. 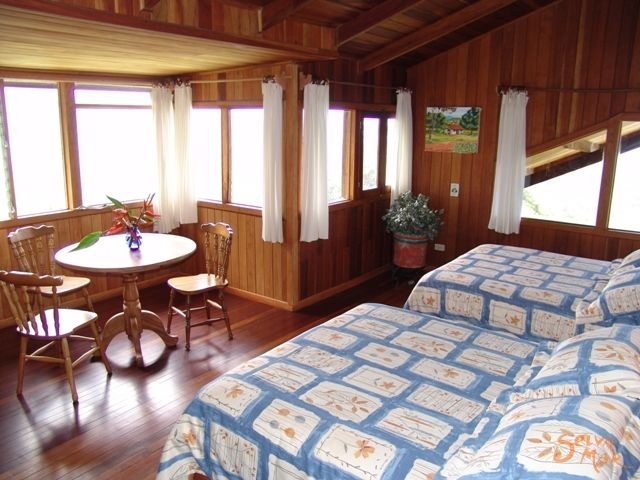 Hotel Belmar offers spectacular views and personalized service in a comfortable rustic atmosphere. 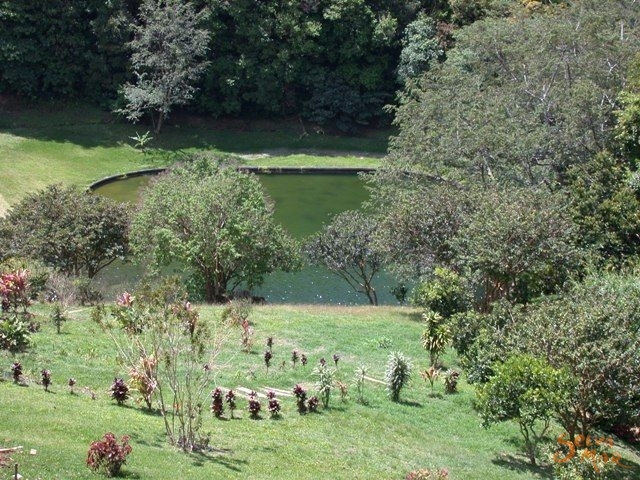 All, just moments away from the wilderness of an immense Costa Rica tropical rain forest, internationally known as one of the world's premiere wildlife sanctuaries. Staying at the Hotel Belmar provides something more than just a vacation. 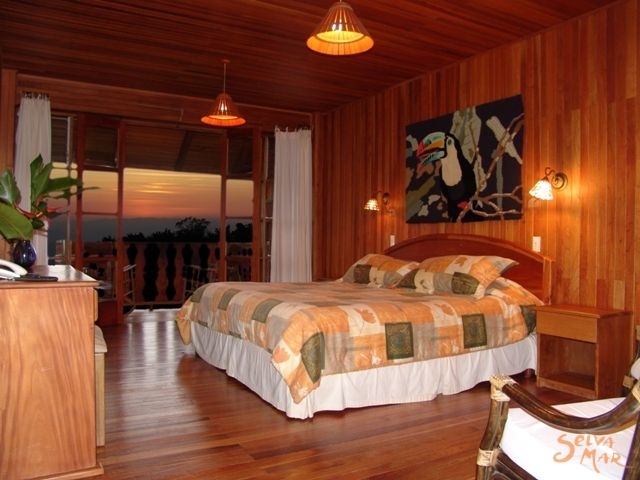 The comfort of the hotel, combined with the beauty of the Monteverde surrounding landscape, creates a lasting impression that helps put everything in perspective. 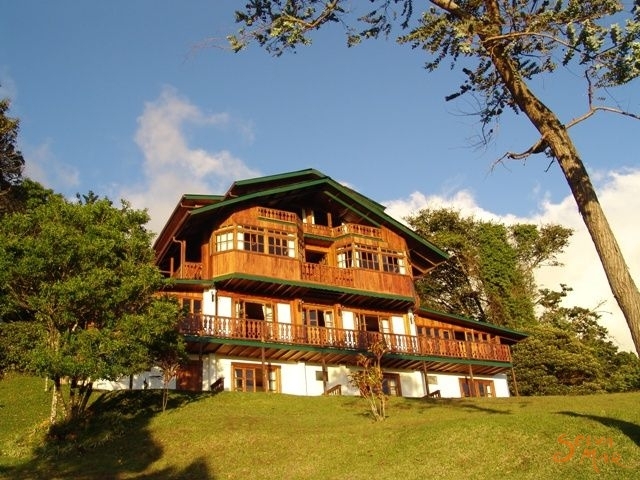 We have 2 houses, the newer main house with rooms & restaurant, and the Chalet. 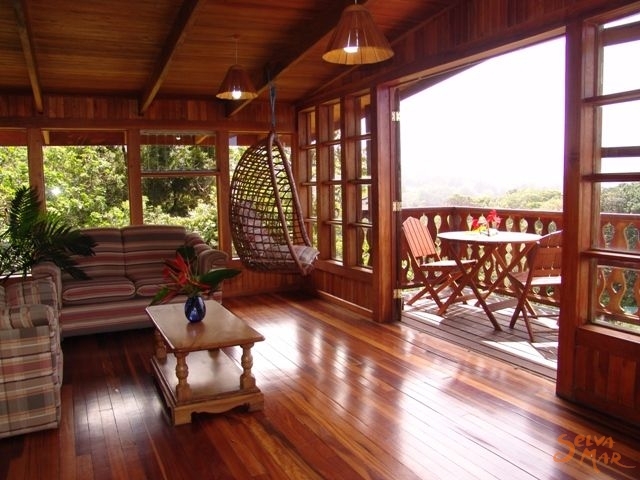 Rooms in the main house are bigger with view to the "Golfo de Nicoya". All our rooms (Main House and Chalet) have private bathroom with hot water. 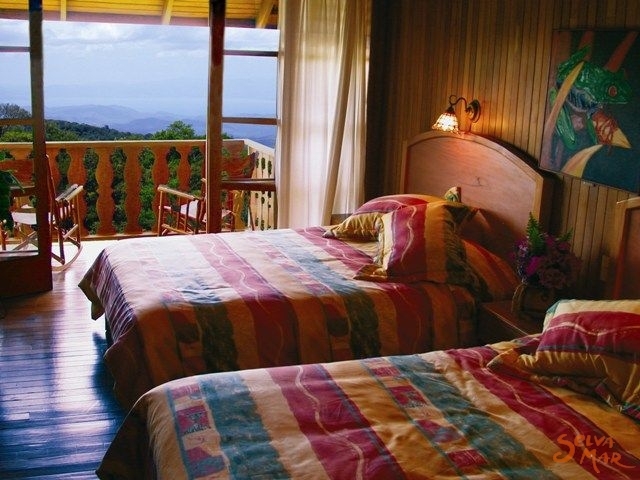 Hotel Belmar is located in the luscious green mountains of Monteverde. 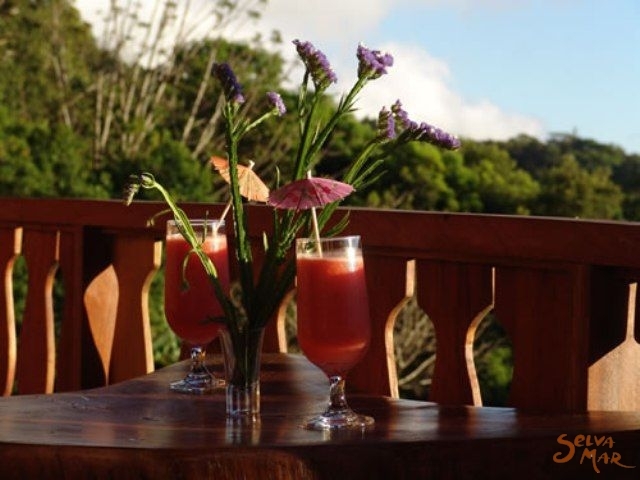 Find yourself surrounded by the beauty of the cloud forest and its variety of wildlife and dense vegetation famous to this area. 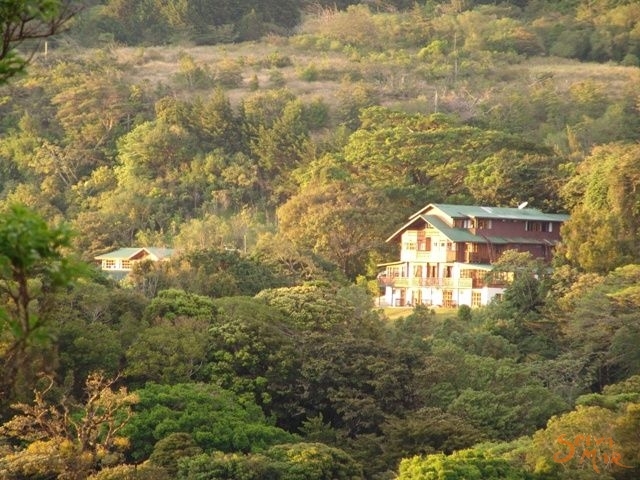 It is a place unlike no other, attracting eco-travelers and birders from around the world. 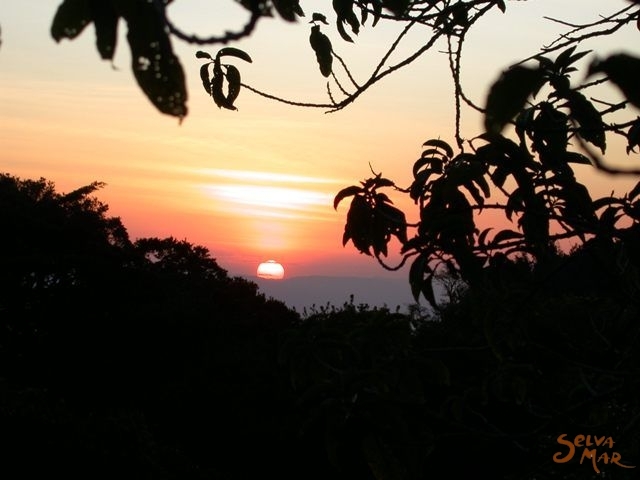 Monteverde is a multicultural community with a mixture of Ticos, Quakers and foreigners, all contributing to this rich and cultural place.